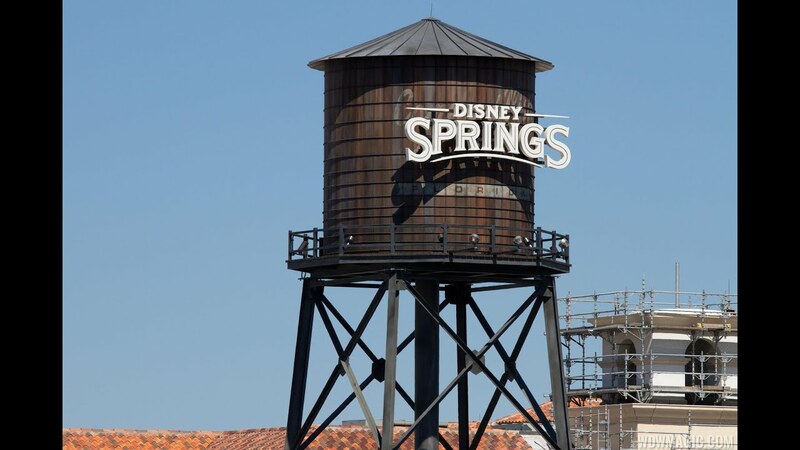 May 17, 2016 in "Disney Springs"
Disney Springs opened its second parking garage Sunday May 15, bringing more parking capacity to Disney's new shopping and dining venue. The Lime Garage is smaller than the Orange Garage, with parking for around 2000 cars. Like the Orange Garage, it features the same smart parking system, which provides free space information per level, per row, and even shows which spots are occupied on individual rows by means of overhead lighting. There are two entrances into the Lime Garage, approximately across from the Speedway gas station. One from the Hotel Plaza Blvd side, and one from the main guest area side and I-4. On entry, there is a choice of entering at ground level, or taking a small ramp onto the second floor. As with the Orange Garage, entry to Disney Springs is via level 2, with escalators, elevators and stairs linking the 5 floors. The entrance and exit to the garage into Disney Springs is directly to the Town Center, making this parking garage ideal for getting to the Town Center and Marketplace in the shortest amount of time. The Orange Garage is also close to the Town Center, but at the opposite end, closer to the West Side. Leaving the Lime Garage by car is via the ground level with a choice of two exits, one leading to Hotel Plaza Blvd and one heading back towards the theme parks and the I-4 area. So which garage should you choose? If coming directly from I-4, the Orange Garage provides a dedicated ramp directly from I-4 to the garage, making that your best option. If driving from the theme park or Disney resort hotel areas, Orange Garage is still probably the best bet, as its dedicated ramp from Buena Vista Drive makes entry into the garage very easy, and Orange's larger capacity will be useful at busy times. Visiting from the Hotel Plaza Blvd side of property will best be served by the Lime Garage, as will anyone who is specifically visiting the Marketplace and wants to park as close as possible to that side of Disney Springs. For electric car owners, there are 2 ChargePoint chargers on the top level of Lime (the same can be found on Orange). We'll be back later this month with a report on the final step of the Disney Springs transportation system to open, the new bus terminal.